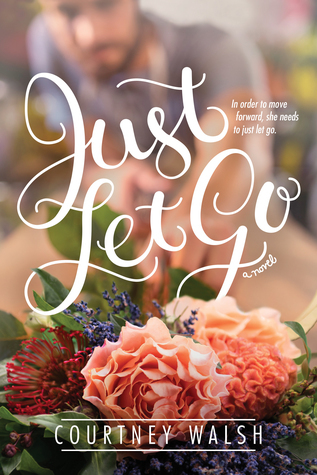 JUST LET GO takes readers back to small-town Harbor Poine and to a cast of characters easy to fall in love with. Two main characters who are deeply flawed, but who find friendship and the possibility of more with each other, are the focus of the story, as is the principle of letting go and turning control over to God. A beautiful story that will tug on readers' hearts and make them fall in love with this small town and its community all over again. Highly recommended to inspirational romance readers! I have to be honest... it took me a little bit to fall in love with Grady. He is very rough around the edges and has a huge ego. His life is out of control when he shows up in Harbor Pointe, so initially, I wasn't impressed with him, even though I knew he had to have a heart in there somewhere. Then there's Quinn... she's rough around the edges, but in a completely different way than Grady is. She's reserved. A rule follower. She's hidden from the world and doesn't trust easily, if at all. She feels abandoned and like she has to prove herself to an estranged mother. I loved, loved Grady's and Quinn's interactions! The chemistry between those two was fabulous! And Grady and those kisses... swoon-worthy for sure! Grady is such a tease, but a very charming one. They both realize that for them to find happiness and their own worth, they'll need to open their hearts, make some changes, and trust in God. I loved seeing them both come to realize this and to see how they change, and how their happily-ever-after comes about. There's also a whole group of side characters that prod these two along. I loved Grady's dad and his group of friends. I loved Quinn's friends. Quinn's sister and nephew were also favorites. Some of the dialogue and scenes between Grady and Quinn's nephew were some of my favorites. I appreciated how well done all the characters were. They didn't feel one-dimensional or cookie-cutter in any way. This story really came alive because of them. Besides my initial struggle with liking Grady, which didn't take long for me to overcome, my only other struggle with this story was that the ending felt slightly stretched out. I also was worried that the author would tie up everything too perfectly. I really appreciated that it didn't go that way though. At the end of this story, there are still a few relationships unresolved, and I think that made it a better ending. At least for me. In the end, was it what I wished for? I really enjoyed this one from beginning to end. I love this small town and the characters in it, and this second story set here just made me love it even more. I loved Grady's and Quinn's relationship and those who surround them. Definitely give this one a try! Content: Some innuendo, some drinking, and references to past behavior, but clean. Check out a guest post from the author here, as well as my review of the first book, Just Look Up, here.